Perfectly portable! Our folding brush and mirror compact keeps grooming essentials close at hand. 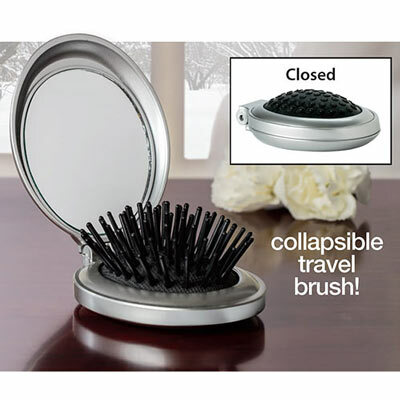 The silver plastic case contains an oval mirror and collapsible brush for on-the-go styling and convenience. Perfect for travel. Open 6¼"l.